The Microsoft .NET Framework is a software technology that is available with several Microsoft Windows operating systems. It includes a large library of pre-coded solutions to common programming problems and a virtual machine that manages the execution of programs written specifically for the framework. The .NET Framework is a key Microsoft offering and is intended to be used by most new applications created for the Windows platform. AMT has developed numerous .Net( Ver 3.0, 3.5, 4.0, 4.5), VB.net, C# and ASP.Net applications ranging from Shopping Carts, Supply Chain Management, Content Management Systems (CMS), ASP.Net forums, Custom made applications for Research and Development, E-commerce applications to big corporate intranets and database driven Financial applications. All these applications were developed for Windows platform and the database used were MySql, MS-Access, Ms-SQL, Oracle server etc. 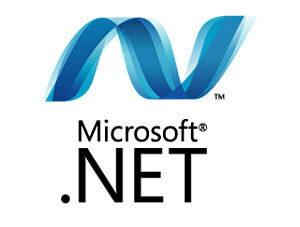 The ASP.NET MVC is an open source web application framework that implements the model-view-controller (MVC) pattern.